Dirty Fabulous has an extensive collection of beautifully soft, new tulle veils. Whether you desire a simple, diaphanous veil or intricate, lace trimmed show-stopper; we have modern veils to suit all tastes. Short, fingertip, elbow, chapel and cathedral lengths available. 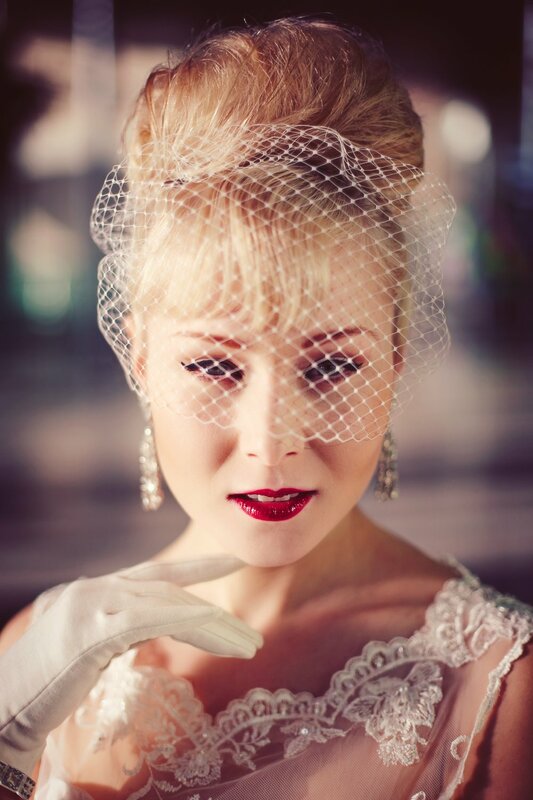 For a true vintage feel, try one of our bespoke birdcage veils. With several shades available and their easy to attach/remove combs, these are hassle free whilst still making a big statement! Dirty Fabulous is delighted to stock what has be the largest collection of vintage veils in Ireland. The delicate tulle, lace and embroidered pieces are a vision to behold and make a very special "something old" for your big day. Can't find the crowning glory to complete your wedding ensemble? Dirty Fabulous can create a headpiece just for you. 1920's style headpieces tie in beautifully with today's modern, form-fitting gowns. They add a beautiful touch of sparkle and evoke a nostalgic era of old Hollywood. Who doesn't love a bit of sparkle! Dirty Fabulous has an incredible collection of new, crystal, pearl, beaded and rhinestone headbands. Choose from full bands, side pieces or hairvines that can be wrapped through your hairstyle. 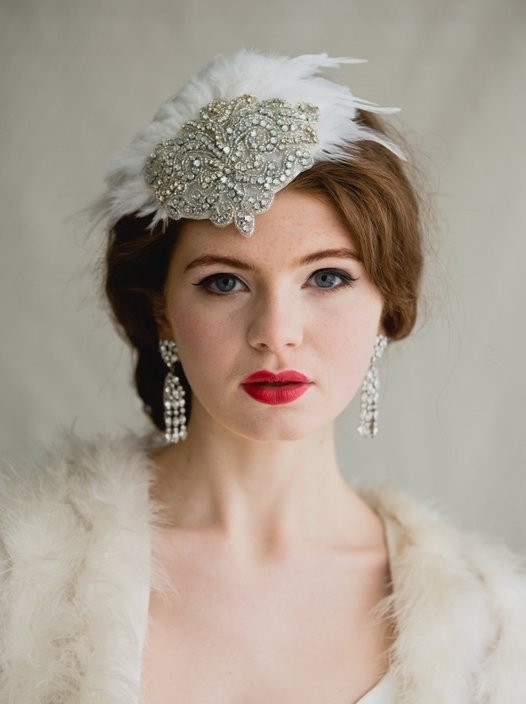 Intricate and beautiful true vintage headpieces. 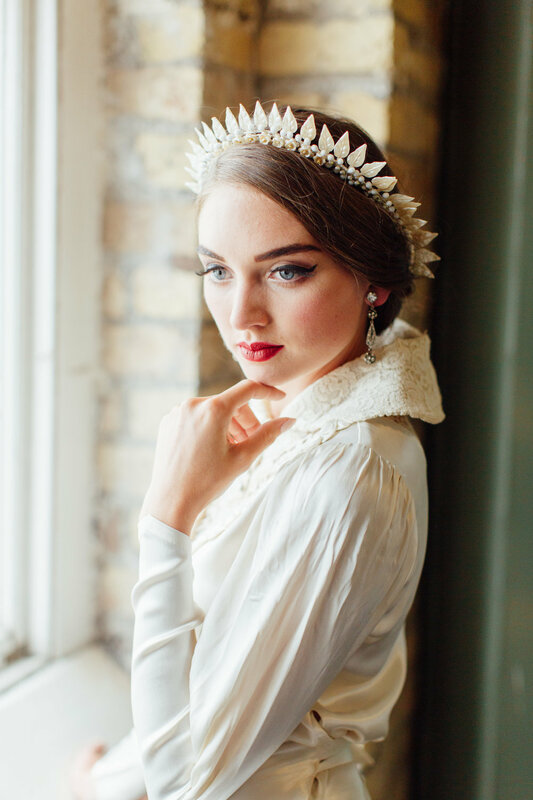 Our collection of headpieces from the 1920's are for the brides searching for something truly special and unique. 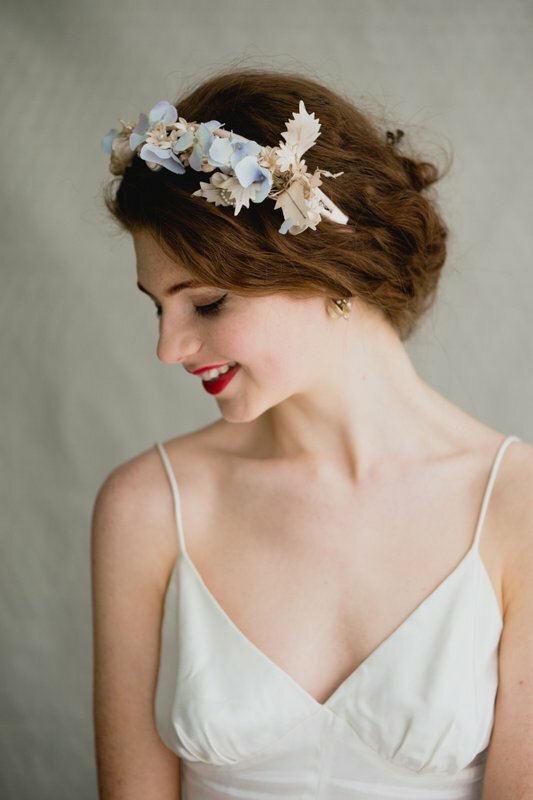 A dramatic floral crown or side comb is the perfect finishing touch for your Boho bridal style. But why worry about fresh flowers wilting when you can choose a vintage floral headpiece. These are often made with petals of silk and velvet and decorated with pearls and beading. Pill-box and wide brim hats from the 1930's to 70's are the ultimate bridal accessory for anyone wearing a short and mid-length skirts or trousers. They are a fabulous way to add a bridal flourish to an understated or alternative wedding day look.